Kochi: The Kerala and the Union Governments will study the feasibility of a Rs 46,769-crore Thiruvananthapuram-Kasargod rail project. This double track of 510 km will be in addition to the existing double line already in operation since British times. 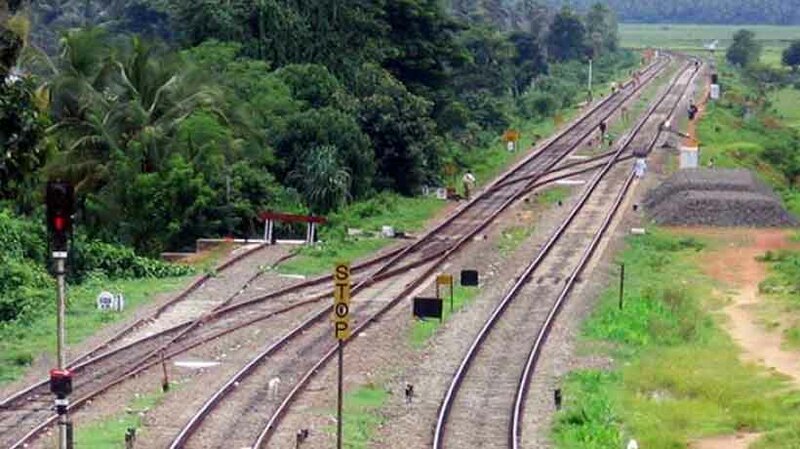 Kerala Rail Development Corporation Ltd (KRDCL) and the Indian Railways were going to conduct the study, official sources said. This was decided during a discussion between Kerala Chief Minister and Railway Boarding Chairman Ashwani Lohani at New Delhi yesterday. KRDCL had already submitted a report in this regard sometime back, but the railways did not show any interest in it due to the size of the amount of investment involved in it. It was to take forward the project that the Chief Minister met board Chairman in New Delhi. Lohani said the project could be considered only if Kerala was willing to share the financial burden. Pinarayi also discussed with him the long-pending case of Sabarimala rail project conceived during the tenure of the late Prime Minister Rajiv Gandhi. He discussed modernisation of stations like Thiruvananthapuram, Nemom and Kochuveli and Thalassery – Mysore Balaramapuram-Vizhinjam and Guruvayur- Thirunavaya rail projects. The Chief Minister, Principal secretary V S Senthil and PWD Principal Secretary Kamalavardhana Rao were among those present.